The Green Party’s foreign policy opinions are shaped by their commitments to ecological wisdom, social justice, grass-roots democracy, and non-violence. The Green Party of the United States believes that U.S. Foreign Policy should focus on reducing militarism and reliance on arms with the goal of achieving a more united security. They believe that the government does not have the right to invade a country based on the grounds that there is a terrorist organization existing there. The Green Party is also against the U.S. using covert actions to influence and manipulate the governments of other nations. This includes the assassination (or assisting in the assassination) of foreign officials. They also support the 2015 JCPOA, signed by Iran and China, France, Russia, United Kingdom, United States, and Germany (the U.N.’s P5+1). A part of the adoption of the JCPOA is that the economic sanctions against Iran are lifted. Greens support the lifting of these sanctions and the normalization of relations between the United States and Iran. Greens also support the dismantling of Israel’s nuclear weapon program and the country signing the Nuclear Non-proliferation Treaty. 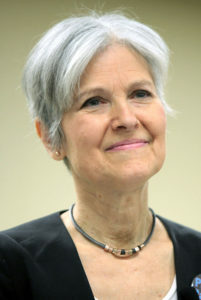 In the 2016 Presidential Race, Jill Stein’s views on Foreign Policy were in line with the Green Party. She supported a foreign policy based on diplomacy and nonviolence that stands up for human rights. This includes abandoning support for countries that are involved in human rights abuses, including Saudi Arabia, Israel, and Egypt. She is opposed to aggressive economic and military involvement in the affairs of other sovereign nations. However, Stein is in favor of freezing the bank accounts of countries that are involved in the support of terrorism.